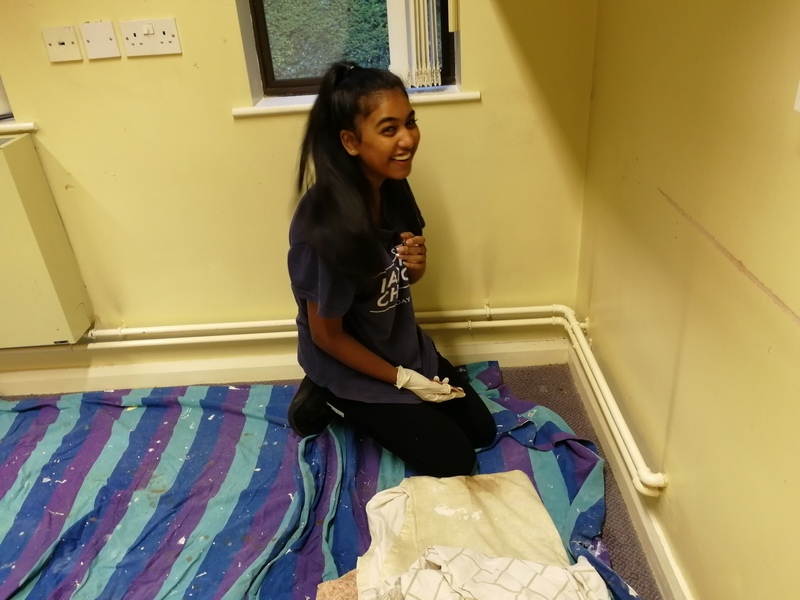 Sewa Day Project carried out on Saturday 13th October 2018 at St Cross Hospital Octupus centre from 9am – 4.30 pm. 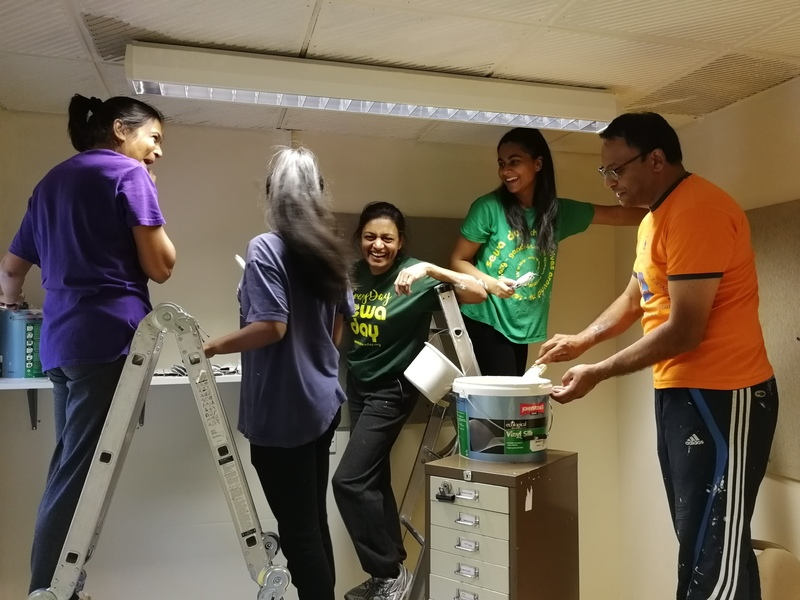 We had 13 swayamsevaks and Sevikas participated in painting the friends of Hospital community library and their main administrative office. 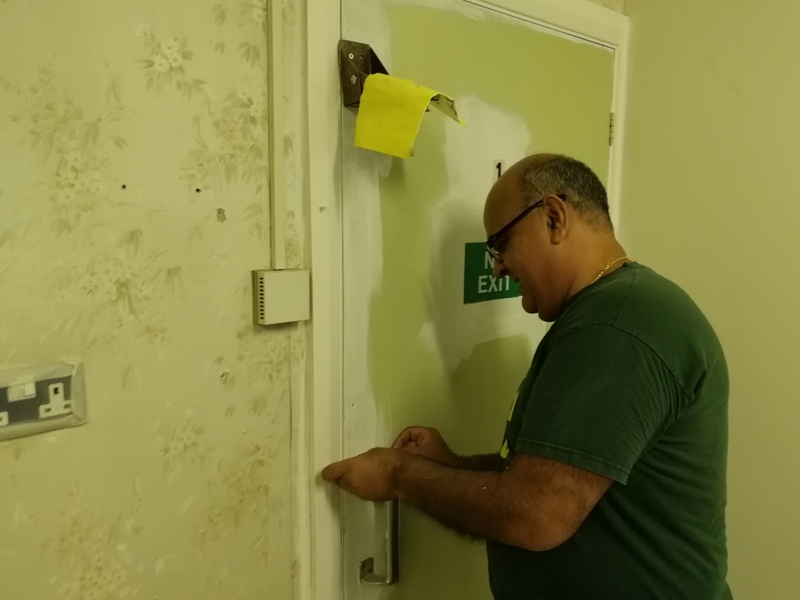 We had two teams set about painting the walls, doors, Ceiling and primer all the frame work and doors. 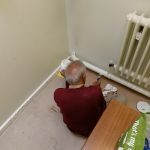 The place looked clean and fresh once we had finished with the project. 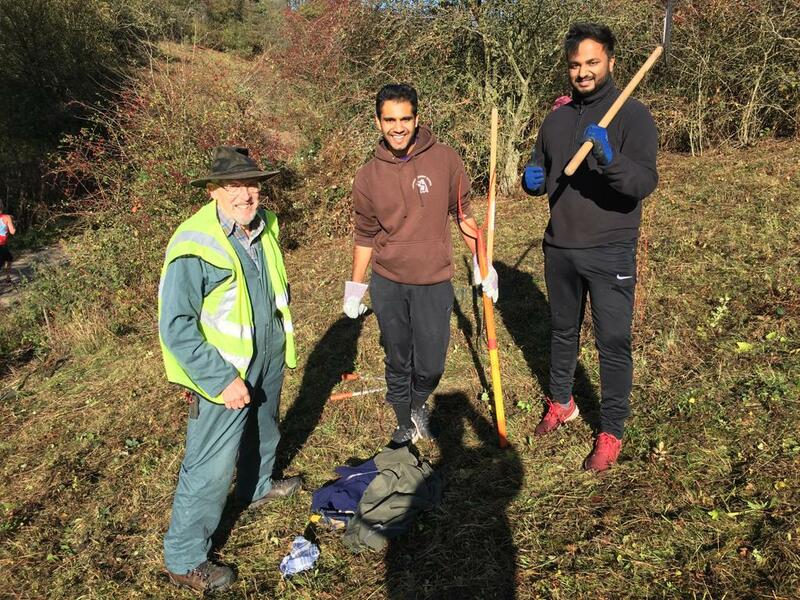 Willy Goldscmidt chairman and community lead the friends of St Cross Hospital did a video on Sewa day which was posted on social media. 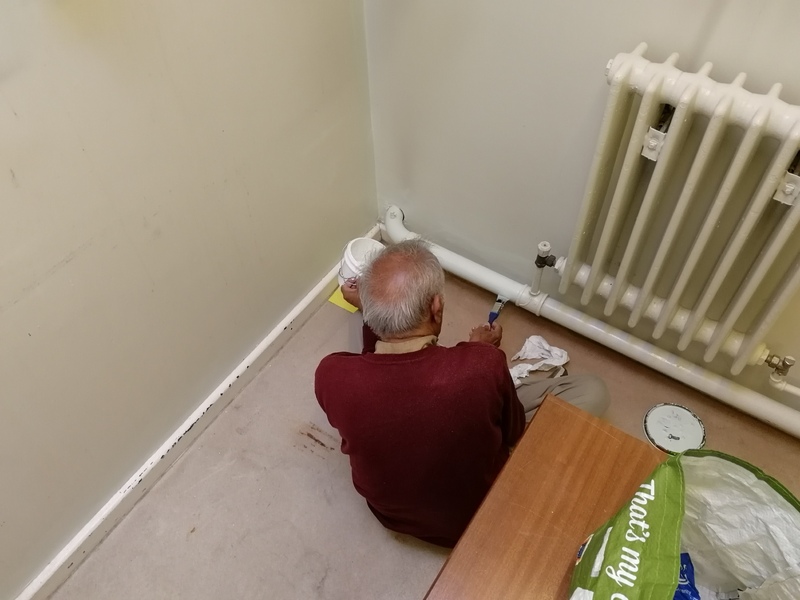 Ramesh Srivastava our local MP provided lunch for all the swayamsevaks and Samiti. 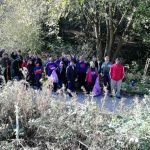 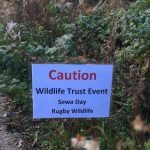 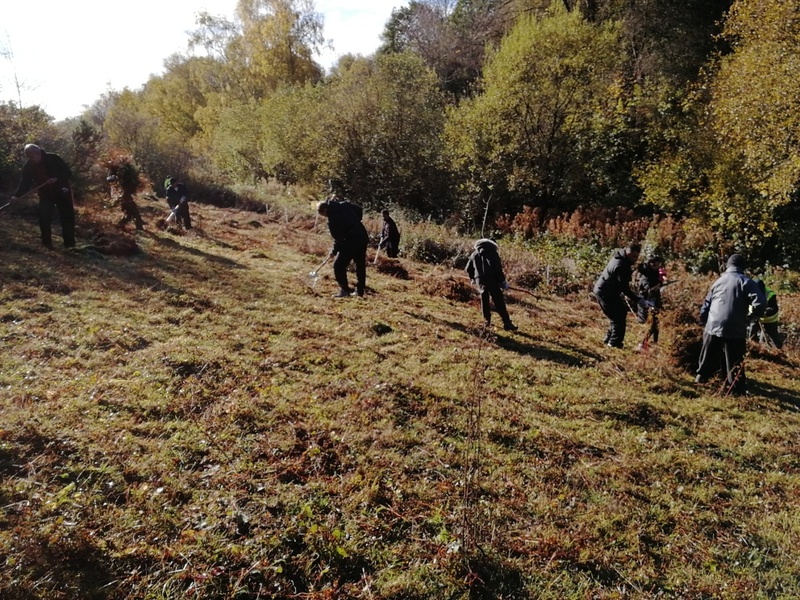 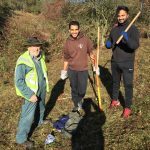 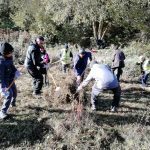 On Sunday 28th October 2018, 21 Swaymsevaks and Sevikas came out to help ‘Rugby Wildlife Trust’ as part of SEWA Day. 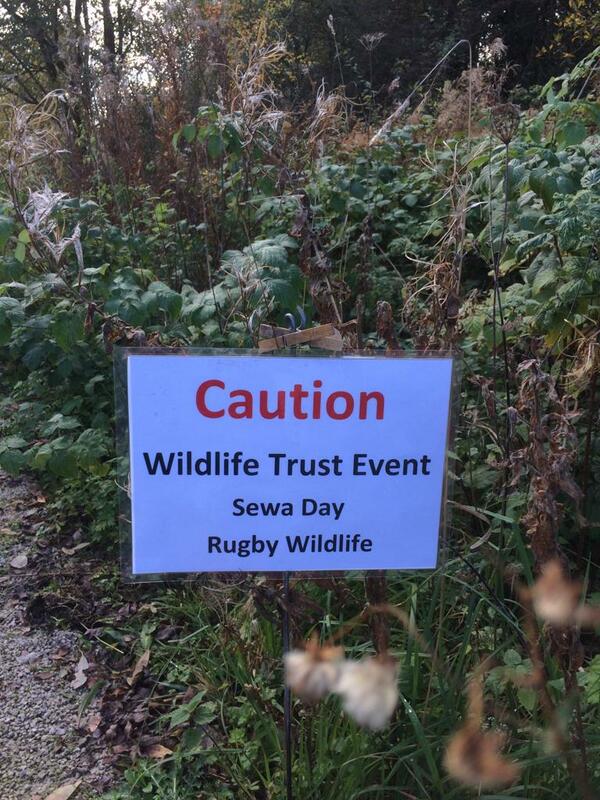 The Great Central Walk is part of the disused railway line that runs through Rugby and is a haven for Wildlife. 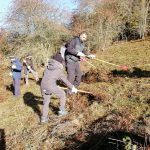 The wildlife is encouraged to thrive by maintaining the natural surroundings. 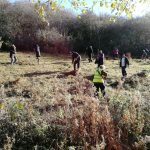 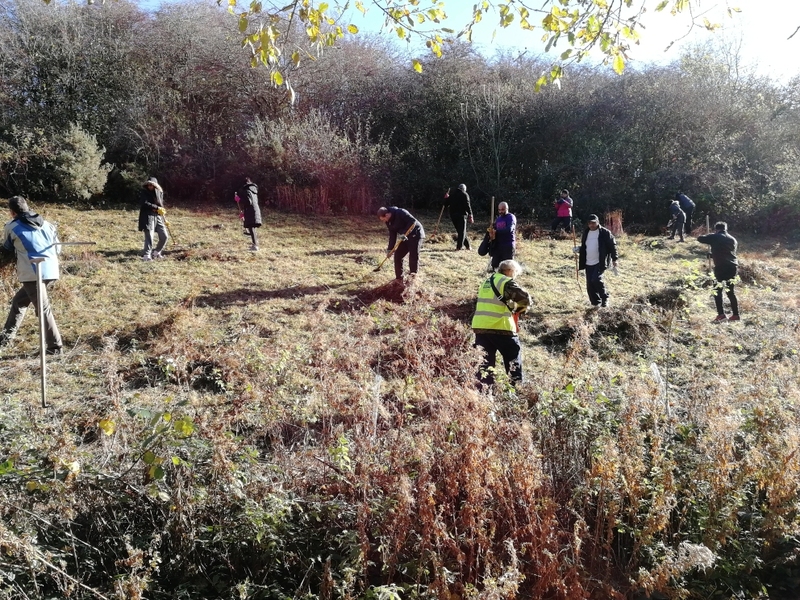 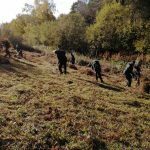 We were tasked with raking 3 fairly large areas of grassy embankment – the activity was labelled as the ‘great British Rake-off’. 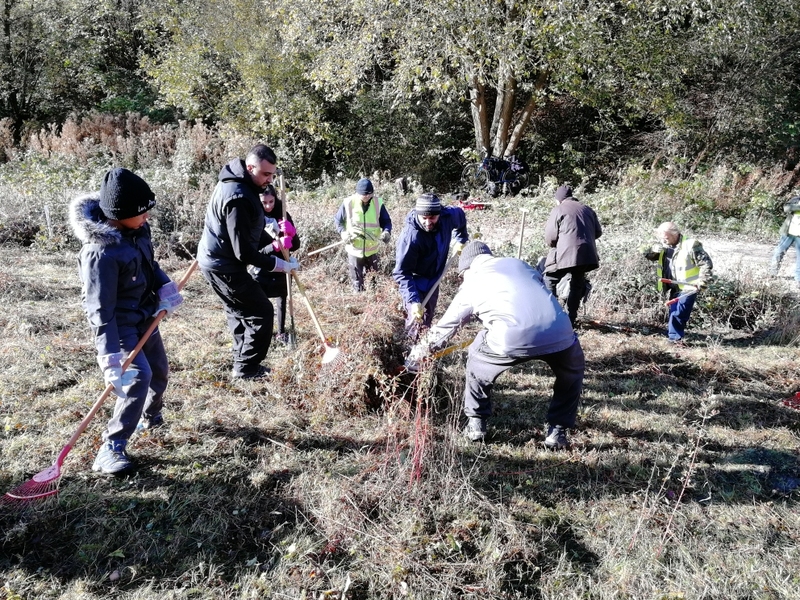 It was physically demanding work but it was helped by the constant stream of Rugby Half Marathon Runners showing their appreciation as they ran along the route. 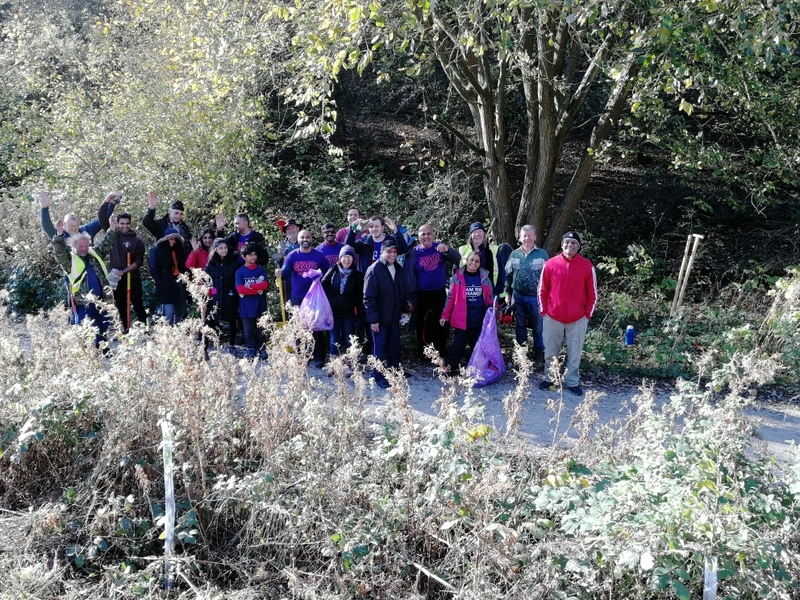 One group of volunteers were picking up litter along the walkway. 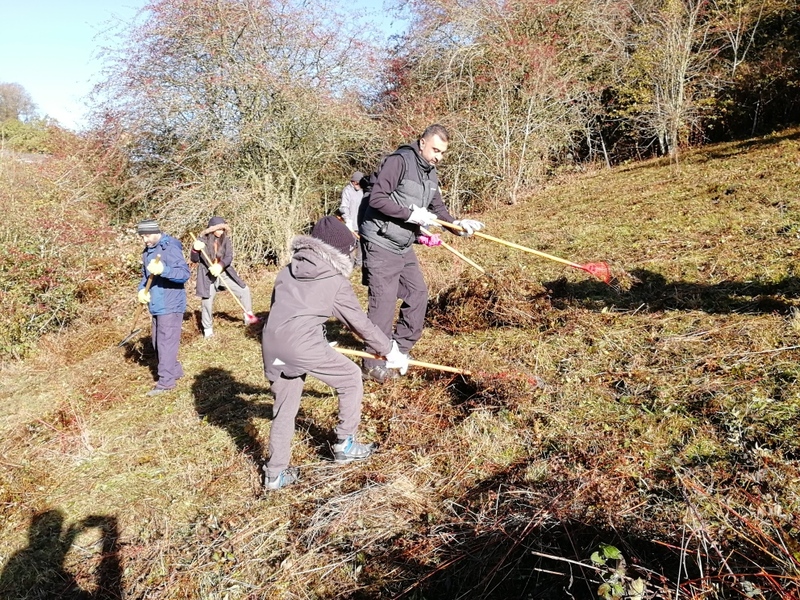 It was a satisfying mornings work which was rounded off with some hot tea and refreshments.